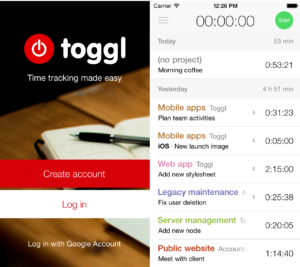 Lets get started talking about Toggl Free, the app i’m leveraging now to track my time. 0:15, you’re going to love todays episode about time tracking, however before we get started it’s important you learn about my favorite email service provider. You can get a free trial of the convertkit service when you visit the original post for this episode and enter your name and email in the form found on that page. When you sign up for a trial of convertkit, you’ll be supporting the podcast. Did you lose track of your time again? We can help you out. With a single tap, track and save your time with Toggl – anywhere you go. Toggl also has you covered across all of your devices! Start tracking your hours in a browser, then stop it later on your phone – all of your tracked time is safely synced between your phone, desktop, web & a browser extension (if you want more of a pomodoro timer experience). You’ll also learn how I fell into tracking time because i downloaded an app that i thought wasn’t going to be accessible and started fumbling around with it. and when you activate, you can modify the name of the task, add or create a project and or tag, and modify the beginning and ending time. 3:50, I also explain to you the 3 unlabeled tabs across the bottom of this app. 4:08, Toggl isn’t 100% accessible, however it’s a wonderful start to the addicting world known as time tracking. 4:46, what app do you use to track time?